Having an iPhone stuck in recovery mode is the same as not having a phone at all and you should be doing all that you can to get your iPhone restored. Many people believe that it is hard to exit recovery mode, but the truth is, it so easy that you can get iPhone out of recovery mode without computer. Let’s get right to it and see the different ways to do this. Before learning how to get your iPhone out of recovery mode without computer, it is imperative that you know what iPhone recovery mode is and why it happens so you can know the best approach to fixing this problem. 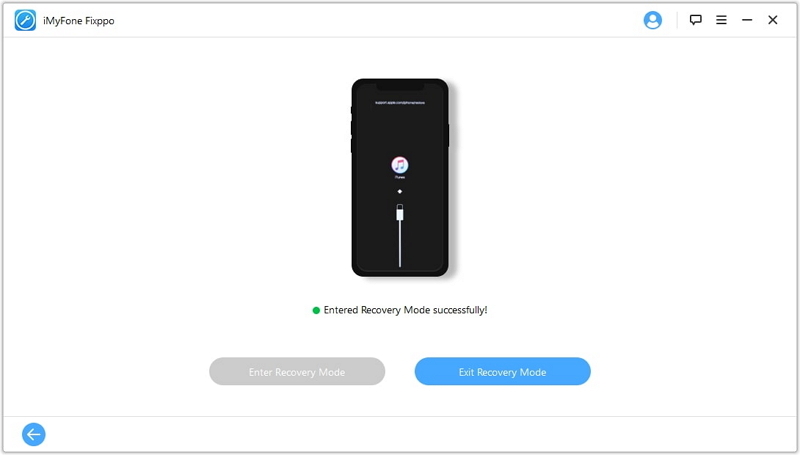 iPhone recovery mode is a method used to fix so many iOS issues, and there are different factors responsible for an iPhone getting stuck in recovery mode. It could be a conflict within the software setup or a problem with the iPhone hardware. The most common factor is a software problem, and it usually arises when installing the incompatible software or testing out the beta version of a new iOS version. If your iPhone is not getting out of recovery mode as a result of a problem with the hardware, take it to an Apple technician. But if it is a software problem, stay right on this page and continue to read this article. Press the Power button and home button, and hold the two for about ten seconds. Wait for the Apple logo. Your iPhone will get out of recovery mode afterward. By following the steps above, you will be able to get your iPhone out of recovery mode without computer successfully. If your iPhone is an iPhone 8/8 Plus or iPhone X, to get out of recovery mode, press the volume button and side button at the same time. It could happen that you may have entered your iPhone into recovery mode by yourself but may be finding it really hard to exit the Recovery mode. You cannot leave your phone without being able to use it, and this is the reason why you should find a program that can get your iPhone out of recovery mode without using iTunes. This program is iMyFone Fixppo, and you get to get your iPhone out of recovery mode in one click without losing the data on your iPhone and so far, it has a 100 percent success rate. Fixppo supports all versions of iOS and iOS devices including the latest iOS 12.1 and iOS devices. If you ever have to get your iPhone out of recovery mode without losing data, iMyFone Fixppo is your best bet. This tool delivers professional help without stepping out of your home, and it can fix a wide range of problems which include iPhone Stuck in Recovery Mode, forgotten passcode on iPhone, iPhone White/Black Screen of death, iPhone stick on Apple logo, etc. 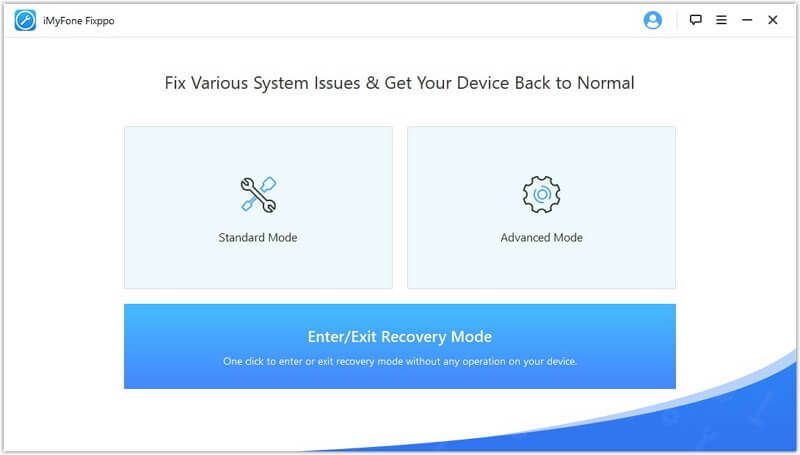 To take your iPhone out of recovery mode with iMyFone Fixppo, it is really simple, and with a single click, you can get iPhone out of recovery mode. The steps to follow are listed below. Step 1. Install and launch iMyFone Fixxpo on a computer. On the main menu interface, click on “Enter/Exit Recovery Mode”. Step 2. 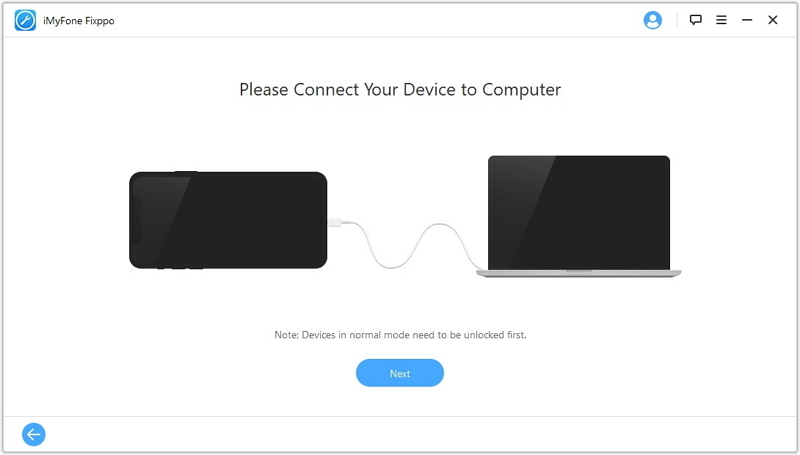 Plug your device to the computer and click on “Next”. Then click on “Exit Recovery Mode”. Step 3. Your device will restart, and by the time it comes on, it would have gotten out of recovery mode. The good thing about iMyFone Fixppo is that it does not erase your data in the process of fixing your iPhone. Your data remains intact, and you can pick up right from where you stopped. You can get your iPhone to exit recovery mode by restoring with iTunes. When you restore with iTunes, your iPhone will be restored to factory settings, and it will be as it came right from the factory. This also erases all of the data on your iPhone if you do not have a backup on iTunes. Thus, you have to think twice before using iTunes to get your iPhone out of recovery mode. Use a lightning cable to connect your iPhone to your computer. Launch the latest version of iTunes and click on “Accept” when you are asked if you want to trust the computer. iTunes will then detect your iPhone, and then you will go from there. You will get a notification that will pop up informing you that the iTunes program has detected your iPhone to be in recovery mode. Click on “restore”, and all of the data on your iPhone will be erased. If you have a backup file on iTunes, you can restore your iPhone later. Usually, fixing iPhone issues requires using a computer but getting your iPhone out of recovery mode without computer is possible. All it takes is to follow the step above, and you will not have to touch a computer. However, if you are looking for a much safer way to get your iPhone out of recovery without losing your data, iMyFone Fixppo is the most viable, reliable and effective solution. Download the software today and be ushered into a word of limitless capabilities as far as fixing iOS issues are concerned.